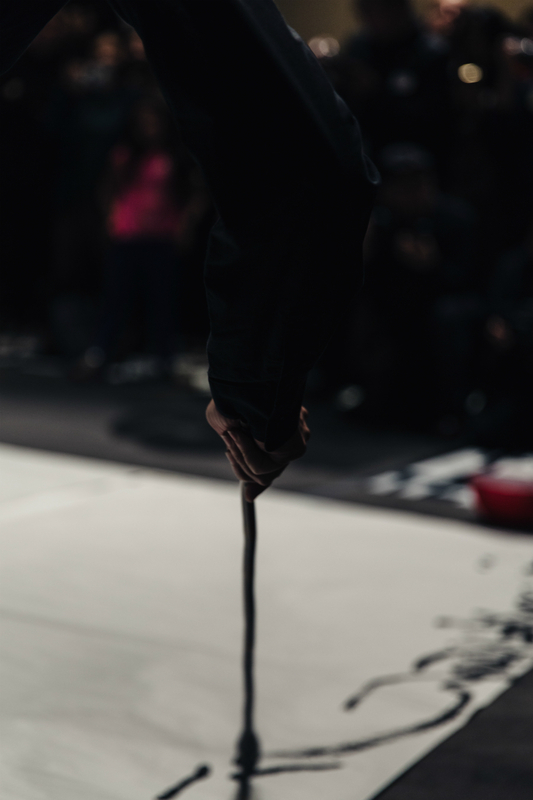 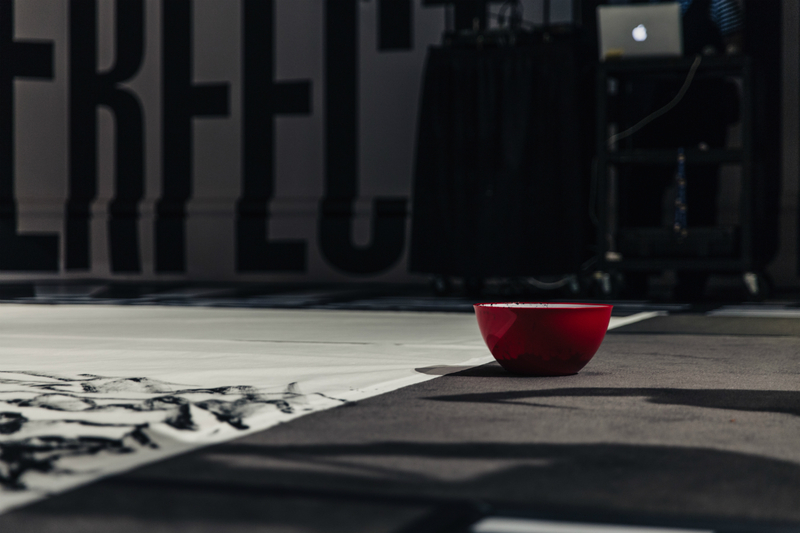 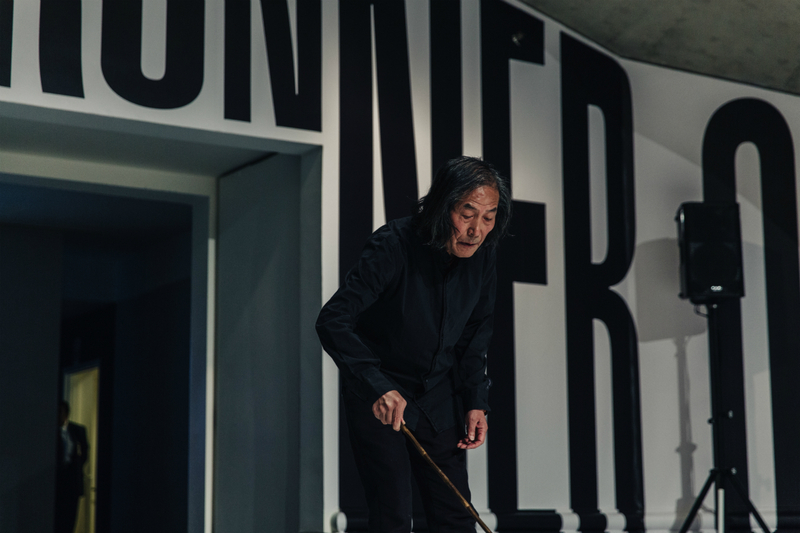 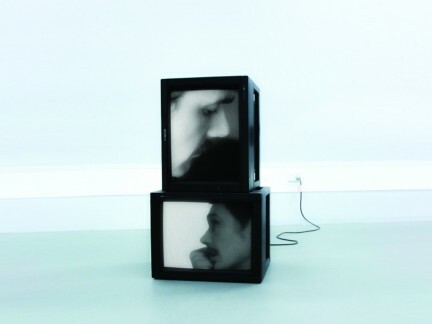 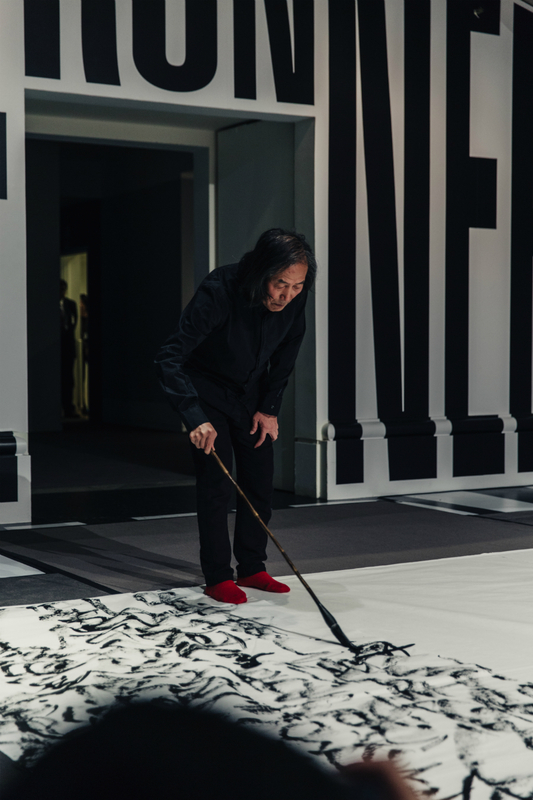 Wang Dongling is part calligraphy artist and part performance artist. 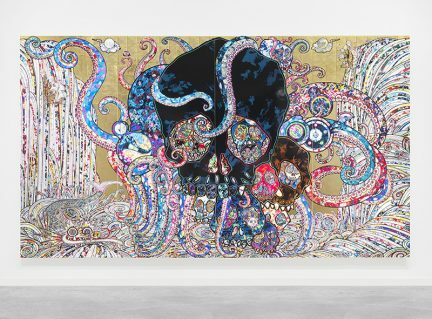 Known for his links to the experimental ink movement of the 1990s, Dongling encompasses his entire body and being into his large-scale works. 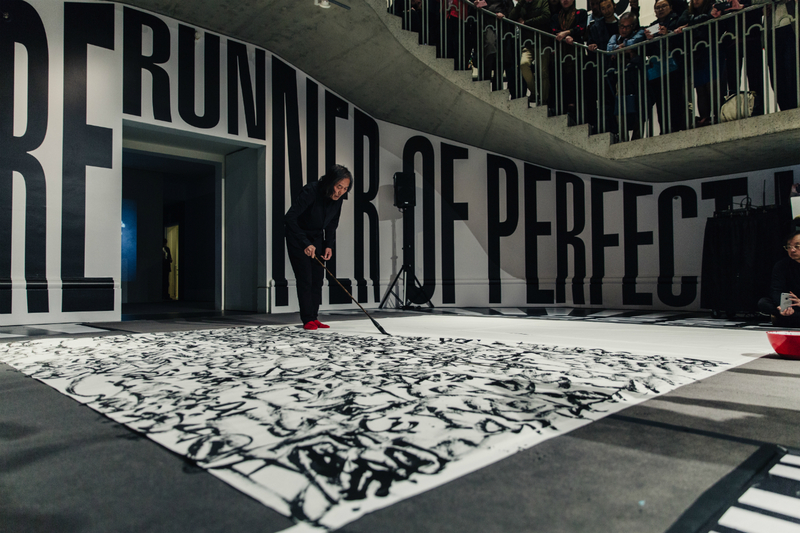 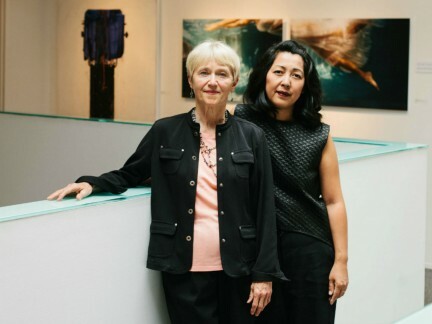 When the Chinese artist was in Vancouver, he wrote the Heart Sutra, a Mahayana Buddhist scripture, live in front of a packed crowd in the Vancouver Art Gallery’s atrium. 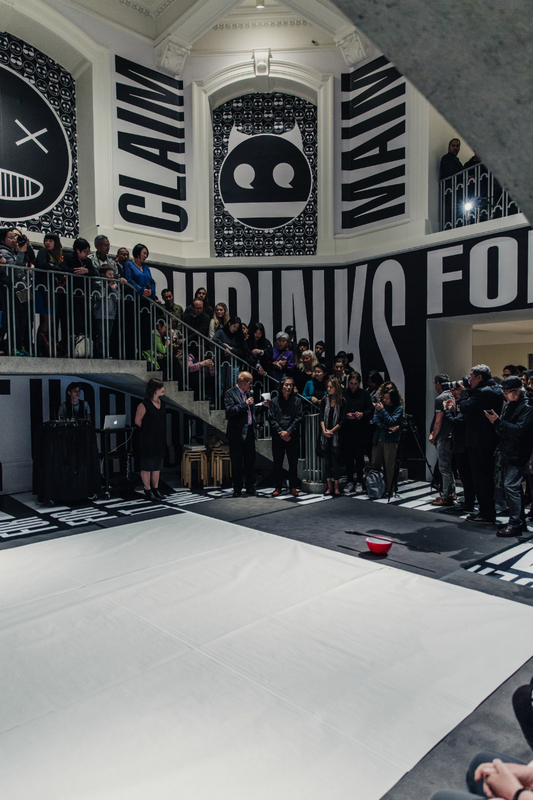 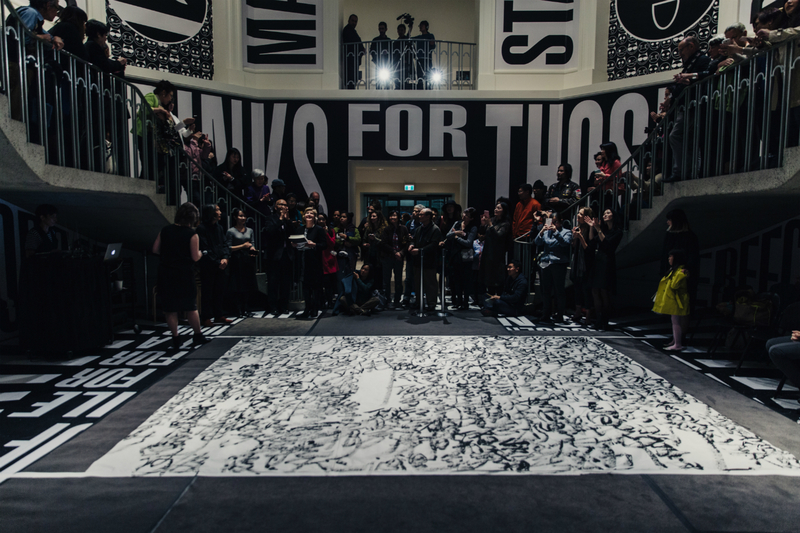 It was the last day of Barbara Kruger’s eye-catching Untitled (SmashUp) installation, which overtakes the rotunda—and coincidentally, Kruger and Dongling are the same age. 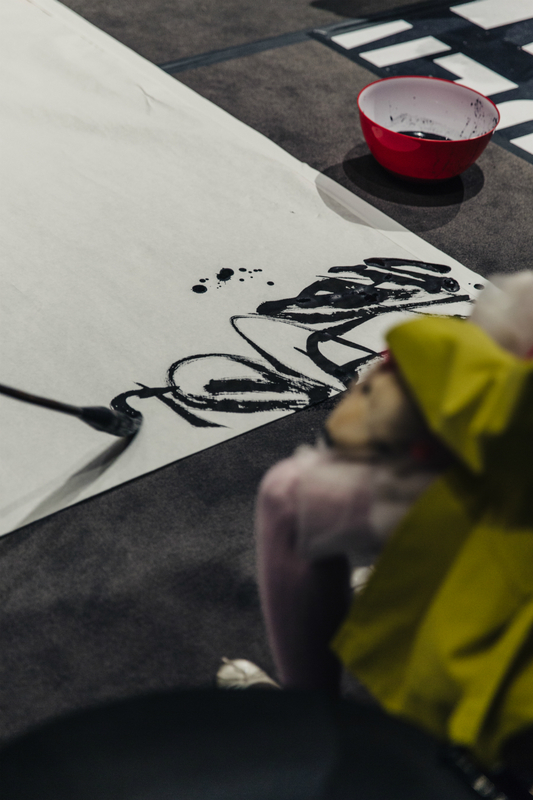 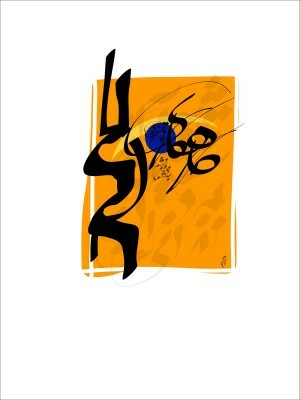 It was a night brought together by the cosmos, highlighting the impeccable beauty of Dongling’s calligraphy. 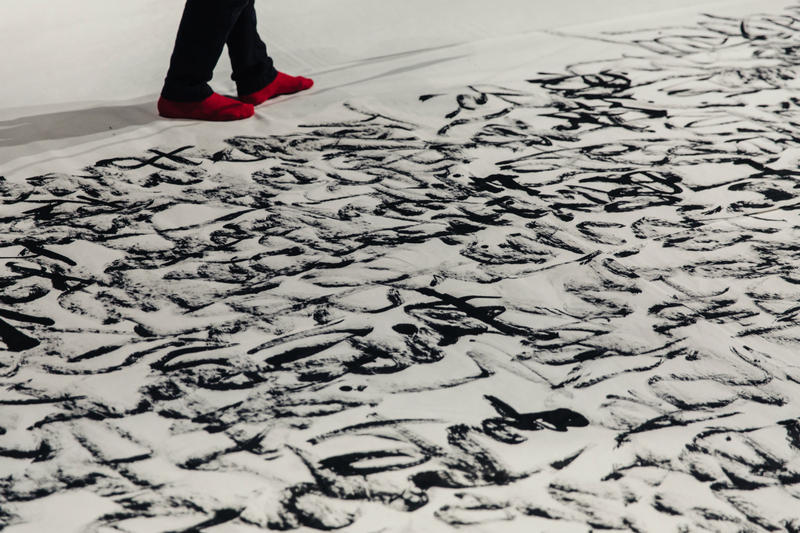 Written in his invented “chaos script,” which sees characters and lines intersect and overlap, the piece is not just about the finished product. 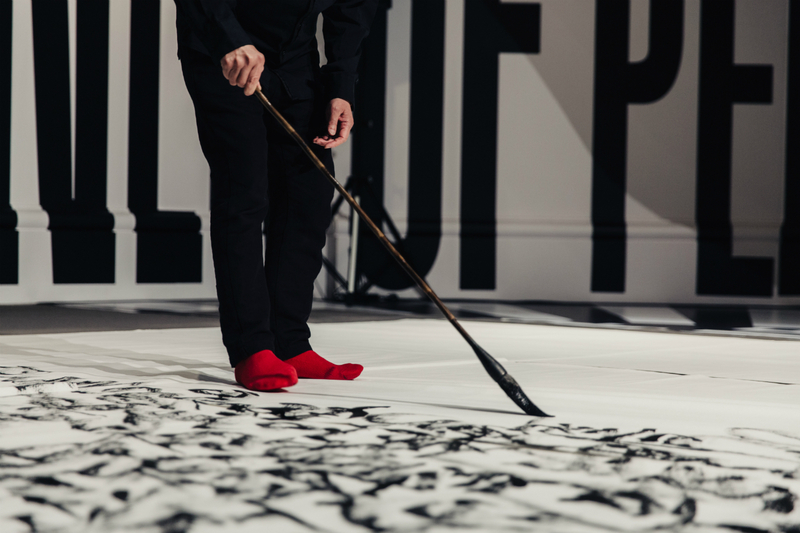 The art is shown in the act of doing—the process itself becomes unremittingly profound.